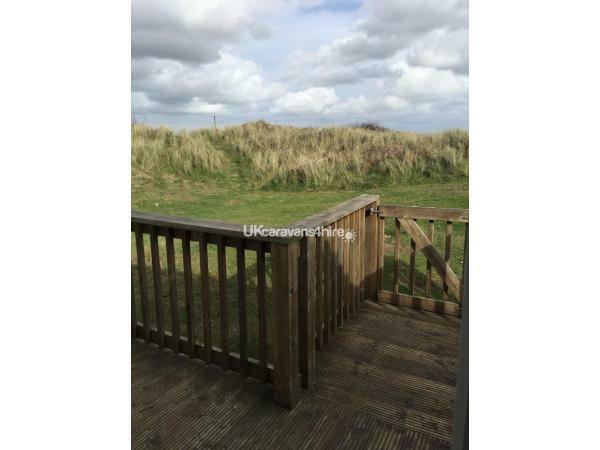 Perfectly positioned at the very end of a better spaced desirable area of the site you are still only a 4 minute walk from the cafes, shops, entertainments and less than a 10 minute walk from the beach. The accommodation comprises of 1 double bedroom with TV/DVD player and two twin bedrooms, there is also a pull-out double bed in the lounge. The kitchen is open plan to the dining area and lounge, and the 2 bathrooms make family life a little easier. 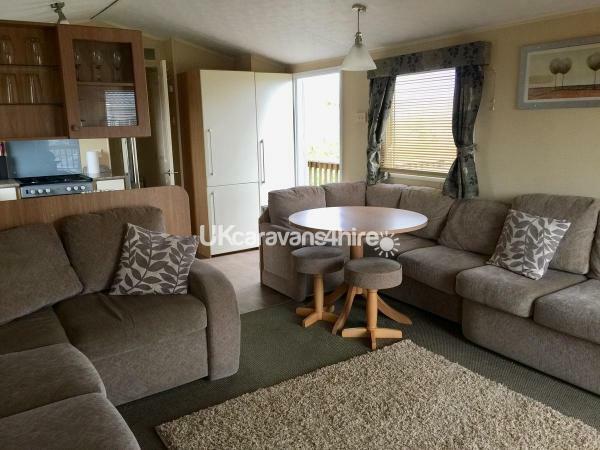 The living area is a lovely place to relax with a modern fire, you will find a 40" Full HD TV with Freeview and a DVD player, also a radio CD player with Bluetooth so you can enjoy your music collection direct from your phone or device. The lounge is spacious and comfortable with patio doors that open to the sundeck, where you will find a picnic table for your al-fresco dining. The kitchen is fully equipped for at least 8 people and has a full height integrated fridge freezer, all gas oven, microwave and 4 slice toaster, we also supply your washing up essentials and tea towels. 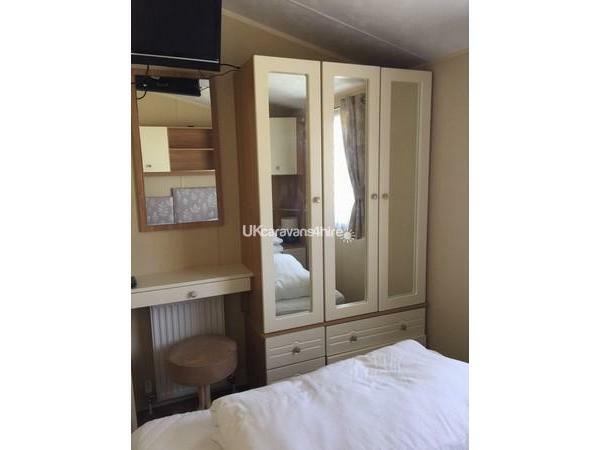 The caravan has mains gas central heating and double glazing throughout. 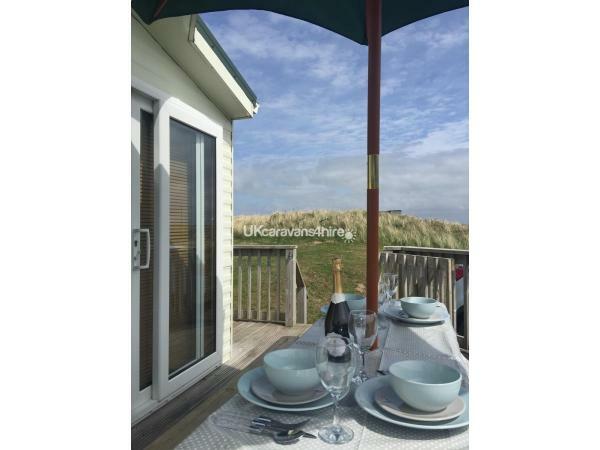 You have your own parking space beside the caravan which has a gated sundeck and enjoys the privilege of a small secluded grassy dune area perfect for picnics, BBQs and sunbathing. We do supply a steam iron & board and hairdryer for your stay. All duvets and pillows are supplied, please bring your own sheets, pillowcases duvet covers and towels. Bed linen packs can be hired from Haven, as can travel cots, bed guards and high chairs, all at very reasonable prices, please ask. Check-in time is 3pm but on the day we will always let you know if it can be ready earlier. 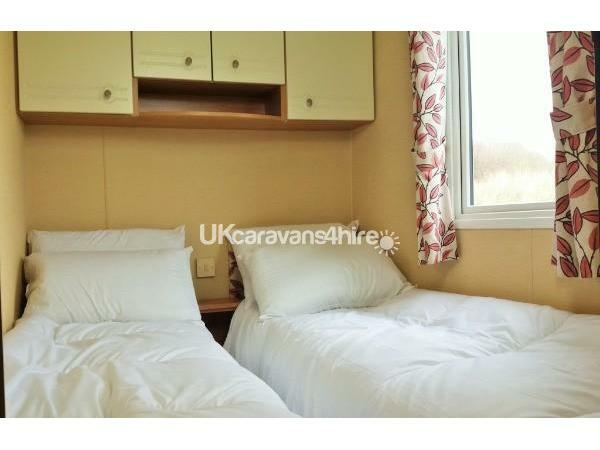 To secure your booking a deposit of £100 will be required and the total balance is payable 6 weeks before arrival. 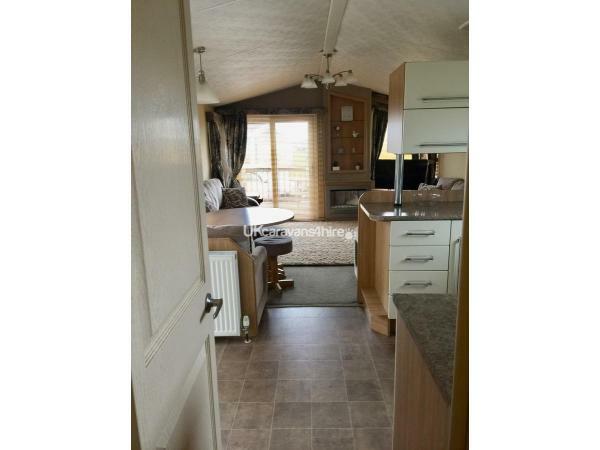 We ask for a £50 security bond with the final payment and this is returned to you within a week of you leaving the caravan with no damage and in a tidy condition. Entertainments Passes are not included but can be purchased from Haven Reception on your arrival. 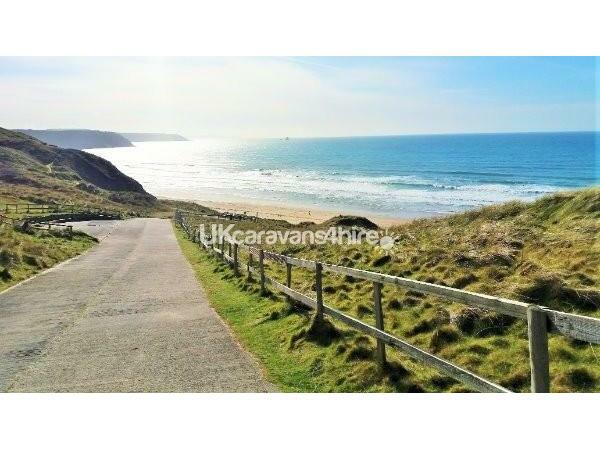 Our caravan does not have a sea view, however from the dunes beside the caravan you can see over all the caravan roofs to the sea and coastline and then all the way around giving panoramic views over much of Cornwall. Pet policy: one or two small dogs are allowed from mid September to the end of 2019, they must not be left unattended in the caravan. Thanks for reading we hope to hear from you soon! Additional Info: Indoor Pool, Outdoor Pool with flume, Restaurants, Take Aways, Amusements, Bar, BBQ, Beach, Children's Club, Children's Entertainment, Live Entertainment, Playground, Wi-fi, Surfing and Paddle boarding Tuition, WaterWalkerz, Archery, Fencing, Football Academy, GoKarts, Bungee Trampolines, Aquajets. We had a fantastic week in this caravan. The shower was lovely, lots of room to store things and a really comfortable living area with lots of seats. The balcony is a real heat trap on a sunny day which we were lucky to enjoy everyday. 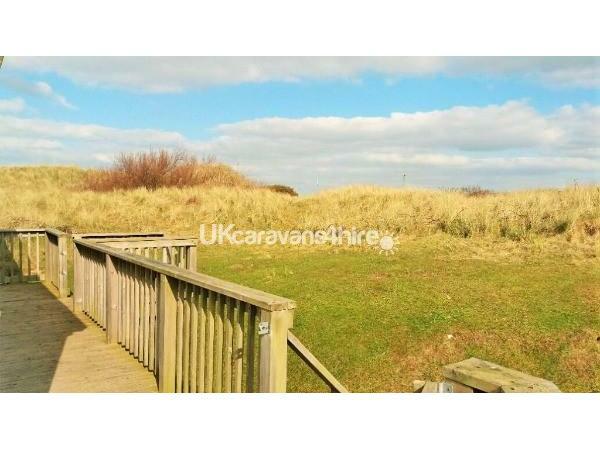 The caravan is in a great position, close to the beach and the shops but nice and quiet. Absolutely perfect we will be back. Thanks again Lorraine. 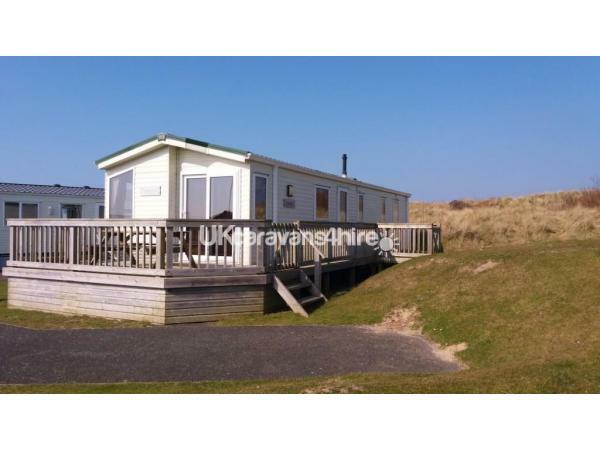 Upon arrival the caravan was in an excellent location on the site and was perfect for us. It was very clean and very welcoming. It had everything we needed for our weeks stay from cooking to chairs to sit on outside! The doggies were right at home as we bought all the fleeces for them to lay on!! Lorraine is very approachable and very friendly. 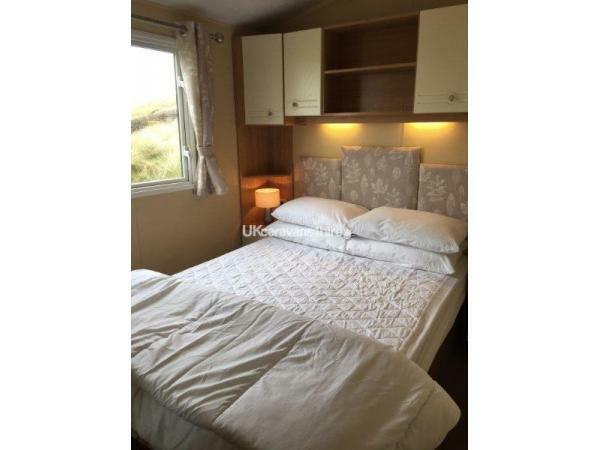 We thoroughly enjoyed our stay and look forward in returning in July to the same caravan. The only downside was that the sun didn't come out everyday!!!! 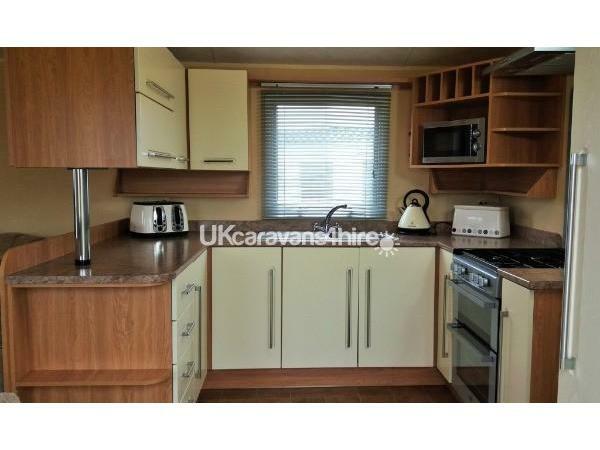 Was really impressed with the location of the caravan, at the top of a quiet cul-de-sac, ideal with a small child. 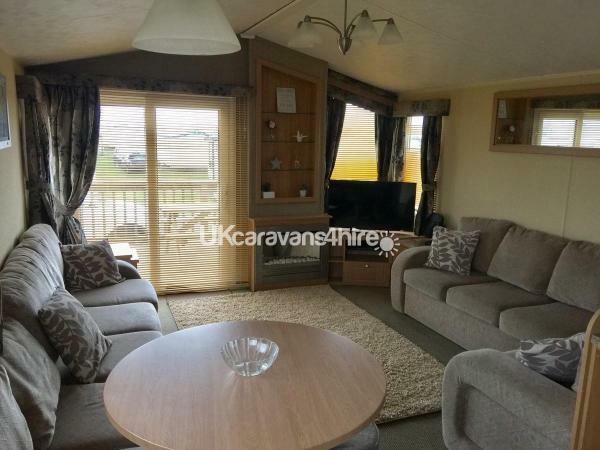 There was plenty of room inside and very homely, having 2 large sofas and a lot of floor space for a child to play. The verandah was a great asset too in enabling a small child to play outside safely, with having the 2 gates. The weather was really hot, so having the sliding patio door at the front and also the side door, meant you could get a very welcome flow of air through to cool down. Had great communication from Lorraine, she was very helpful, and wouldn't hesitate to book in again with her. We had a great holiday and would love to return sometime.